Transparency, listening and dialogue are the keywords guiding Technip's relationship with its shareholders. To strengthen this relationship and to enable shareholders to find out more about our business, we are increasing the number of opportunities for discussion, dialogue and information. In early October, a group of individual shareholders visited Flexi France, our flexible pipe manufacturing plant located in Le Trait, in Normandy (France). This large site, which started operations in 1974, is a self-contained unit whose main activities are R&D, manufacturing and delivery of production flowlines. 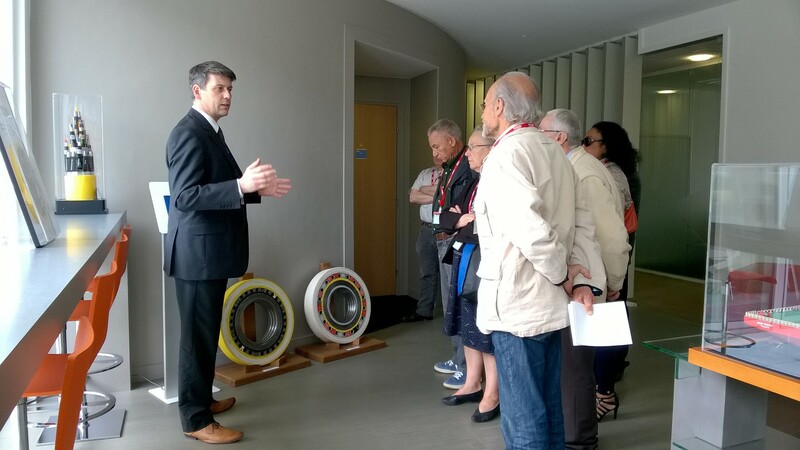 The guided tour, preceded by a welcome speech by Hugues Berton, Managing Director of Flexi France, gave the group a good overview of the flexible pipes manufacturing chain. 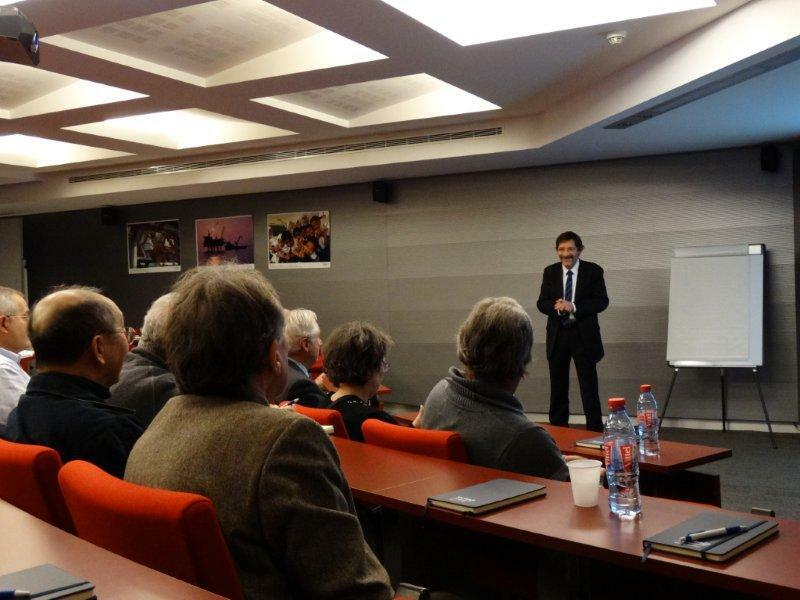 After the visit, they were invited to attend a presentation about Technip's activities as well as Flexi France’s latest technologies and know-how. The direct contact with our teams on site was particularly appreciated by the visitors. 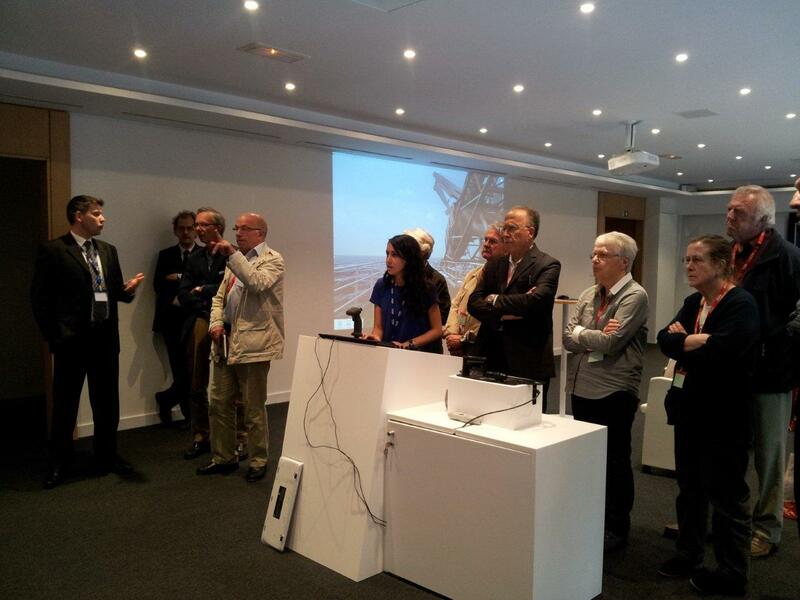 On May 29, 2015 several members of the "Cercle des Actionnaires" visited Technip’s Innovation and Technology Center (ITC) at Rueil-Malmaison (France). 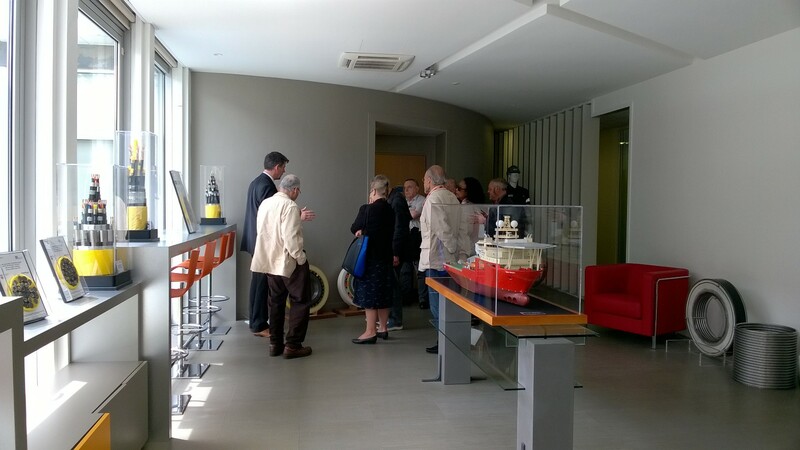 Inaugurated in 2013, this Center is dedicated to the Reseach and Development (R&D) related to our Subsea activity. After the presentation of the Group and its latest financial results, Laurent Decoret, Group SVP Innovation & Technology, highlighted the importance of Technip's investments in R&D. As an illustration, he introduced Forsys Subsea, a joint venture between Technip and FMC Technologies which aims at revolutionizing subsea field architecture from concept to delivery and beyond. 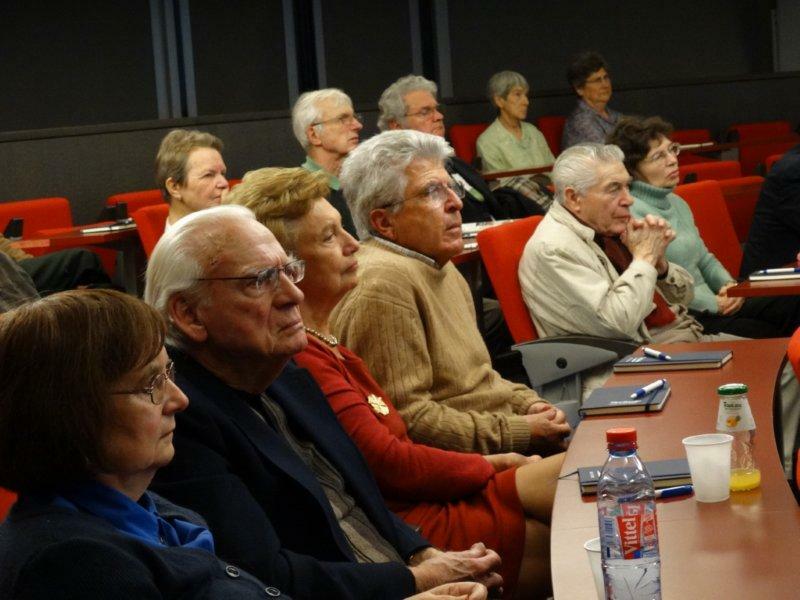 Following this presentation, the individual shareholders had the opportunity to attend the simulation of the lift of a module. Then, they virtually visited Flexibras’s plant located in Vitória (Brazil) before discovering the showroom of the center made of several scale models of our assets. The visit of the Innovation and Technology Center was followed by a lunch during which enables individual shareholders to talk with Technip's teams. 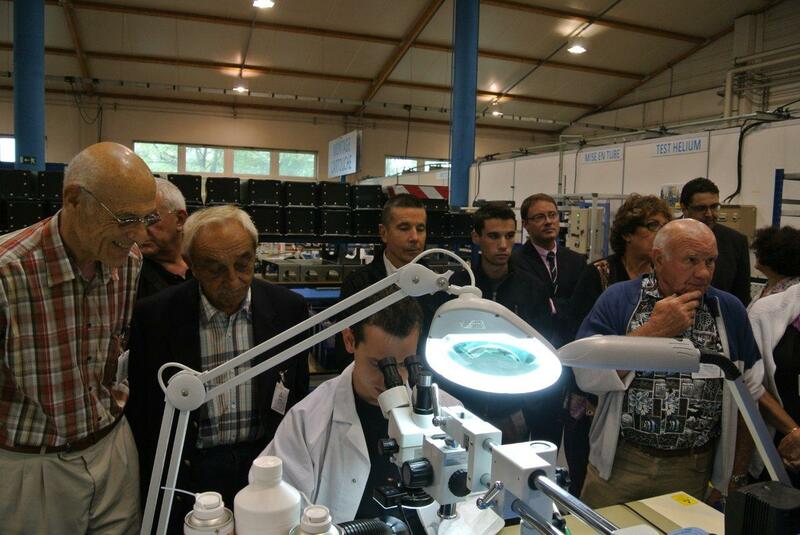 On October 3, 2014 a group of individual shareholders visited the site of Flexi France, our flexible pipes manufacturing plant, located in Le Trait, in Normandy (France). The guided tour of the plant was preceded by the presentation of Technip's activities as well as the lastest financial figures technologies and know-how of Flexi France. 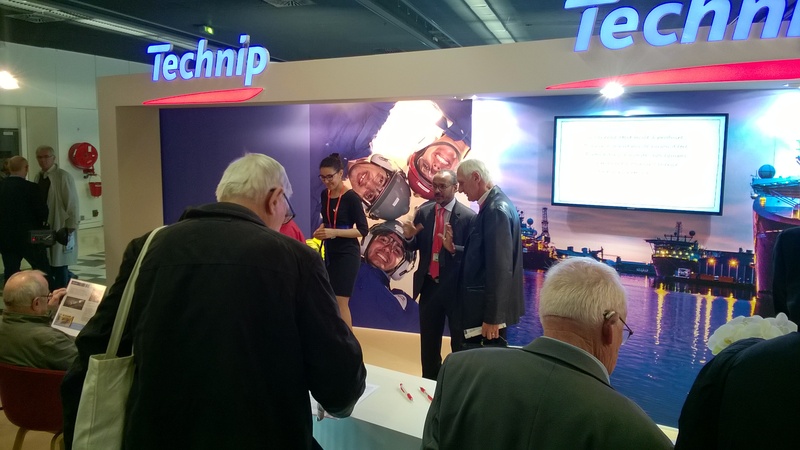 The individual shareholders particularly appreciated the direct contact with the Technip teams on site. 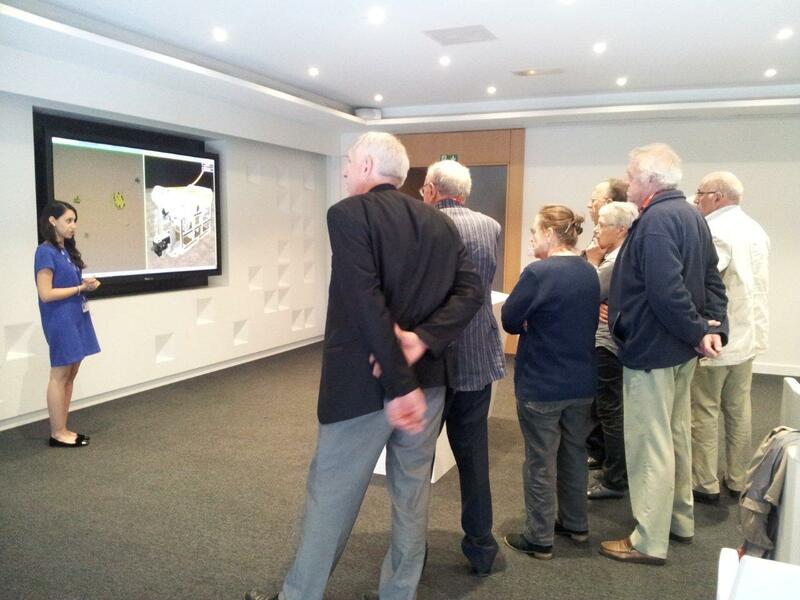 On May 22, 2014 several individual shareholders had the opportunity to visit the Technip’s new Innovation and Technology Center (ITC), located in Rueil-Malmaison (France). 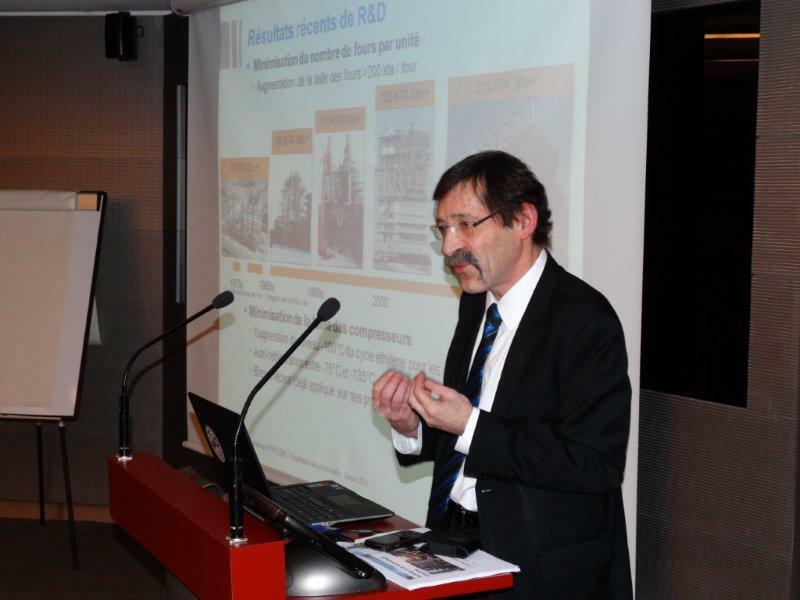 Laurent Decoret, Vice President Subsea Technology Development, introduced the Group and the ITC, mainly composed of experts in Subsea technology. Following this presentation, the shareholders discovered the showroom of this R&D site made of several scale models of our assets. You are invited to experience the visit as if you were there by watching this short video in French only (click here). 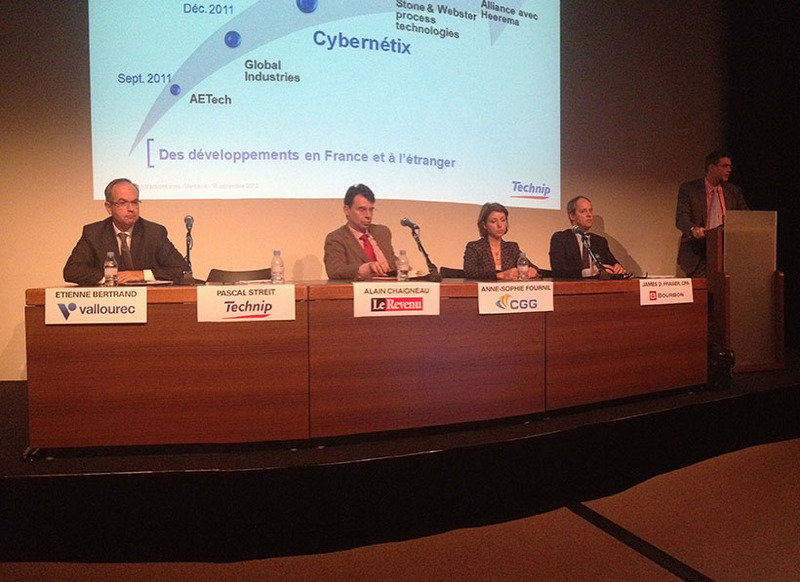 On October 4, 2013 Cybernetix, a Technip's affiliate located in Marseille (France), organized for the first time an open-door visit for some of Technip's individual shareholders. With 160 employees, Cybernetix is a leading player in supply, monitoring, inspection and safety solutions in the Onshore and Offshore oil industry. After the presentation of Technip, individual shareholders had the opportunity to discover the different activities of Cybernetix through a visit of the wiring workshop as well as the production facility dedicated to the Nautilus, a seismic offshore equipment for deepwater fields exploration. 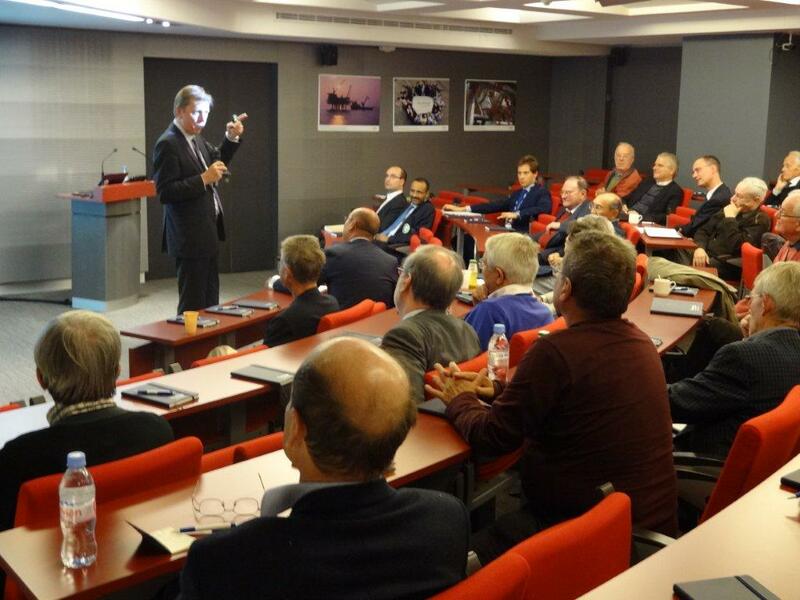 On October 26, 2012 Flexi France, our flexible pipes manufacturing plant located in Le Trait (France), hosted a group of Technip's individual shareholders. 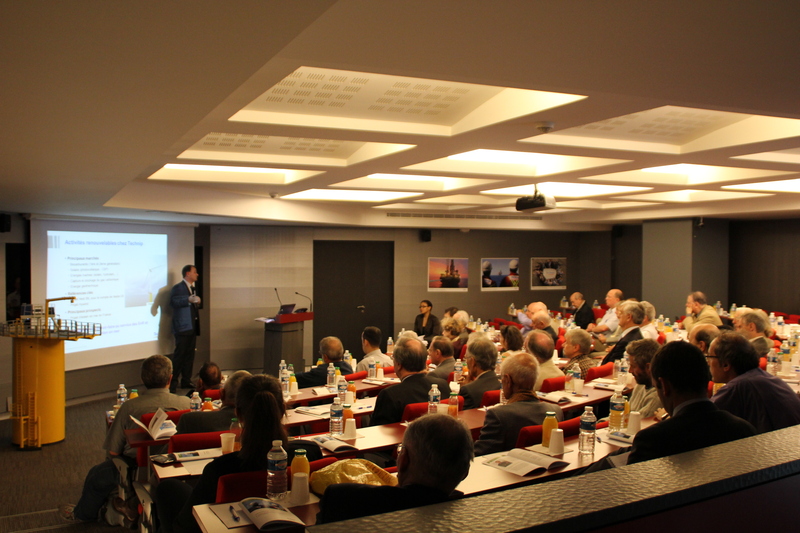 During the morning, they were introduced to Technip's activities and technologies and Flexi France’s skills and know-how. Following the presentation, the individual shareholders had the opportunity to visit the plant with the Technip local teams. 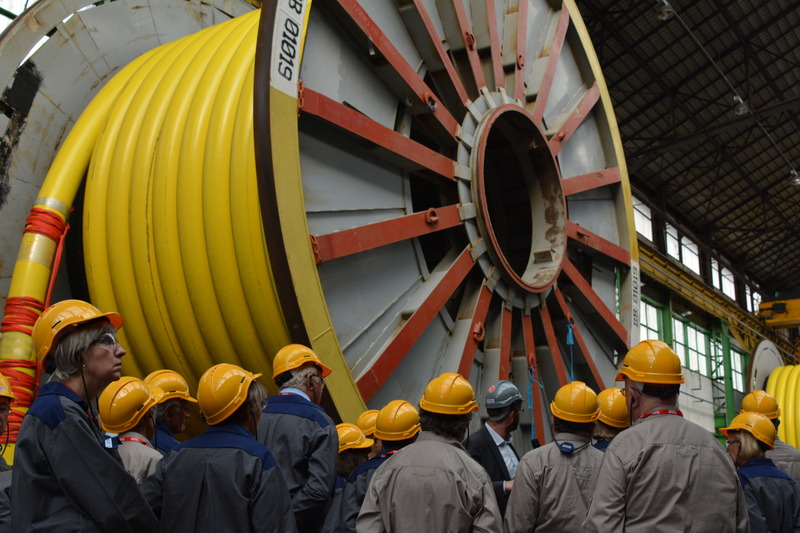 This guided tour enabled them to discover the flexible pipes manufacturing chain. 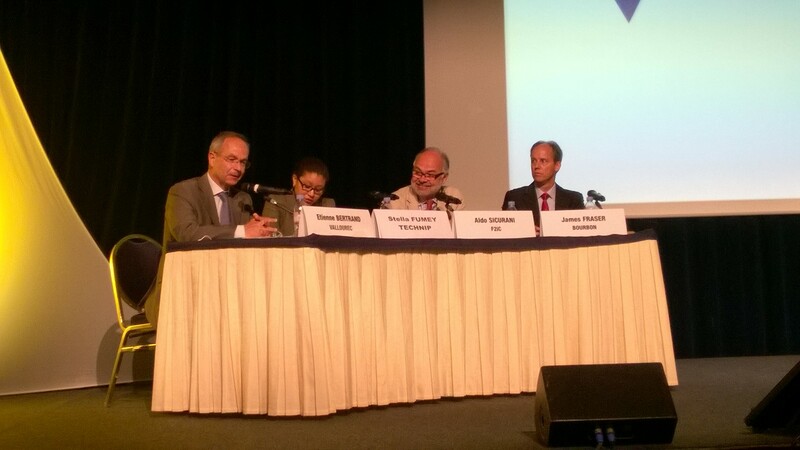 On June 17, 2015 Technip went to meet individual shareholders. 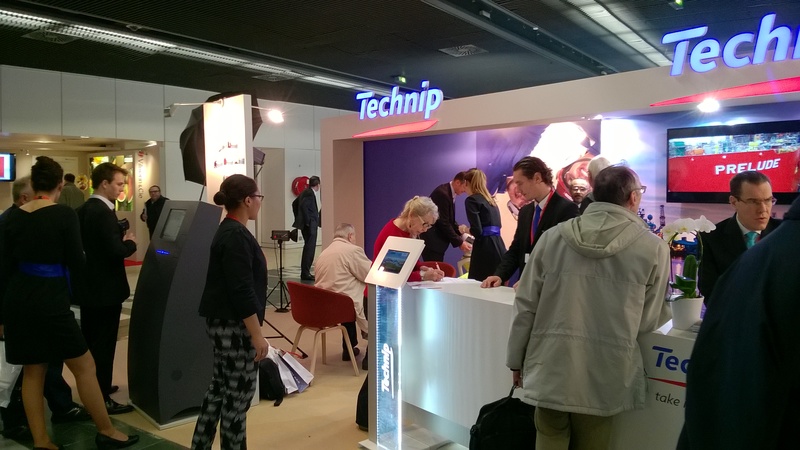 Alongside Vallourec and Bourbon, two other main oil & gas companies in France, Technip participated to a shareholders meeting in Nantes (France). Stella Fumey, Individual Shareholders Relations Manager, introduced Technip, its activities (Subsea, Offshore and Onshore), its strategy and its latest financial figures. Stella Fumey's presentation has been followed by a question and answer session during which individual investors learnt more about the Group. Hosted by Aldo Sicurani from F2IC,* more than 120 people willing to learn more about oil & gas companies attended this conference and debate. 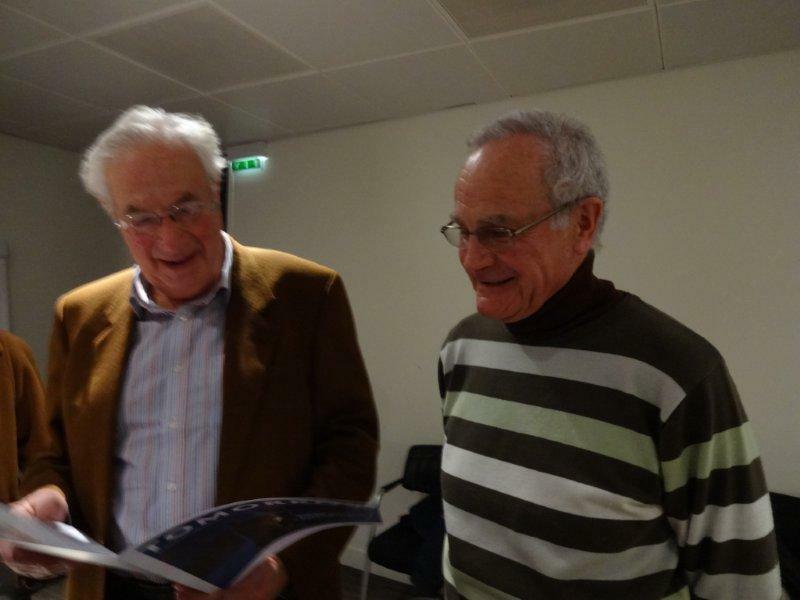 On December 5, 2014 Technip participated to a shareholders meeting in Paris (France) with Vallourec and Bourbon, two other main French oil & gas companies. 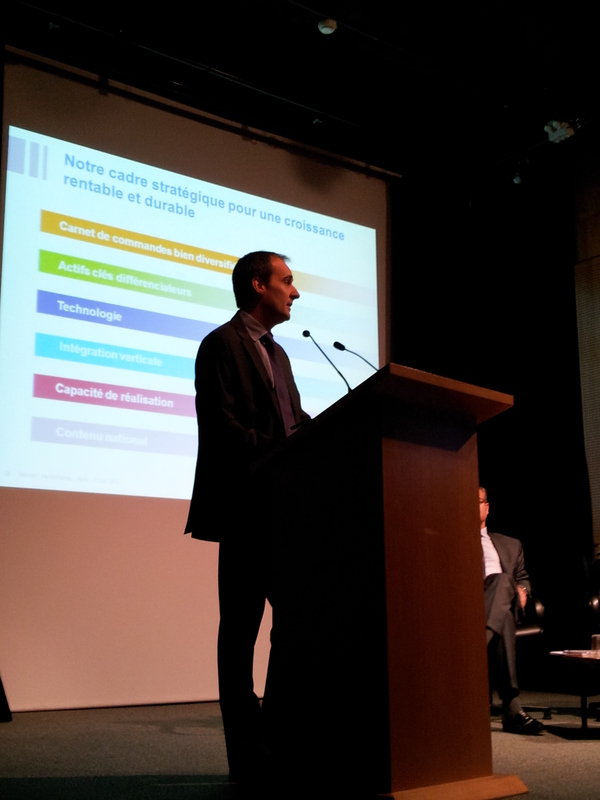 Christophe Bélorgeot, Group Senior Vice President Communications, presented the Group's activities and its latest financial figures. Then, individual shareholders have been invited to ask their questions to the management of each company. 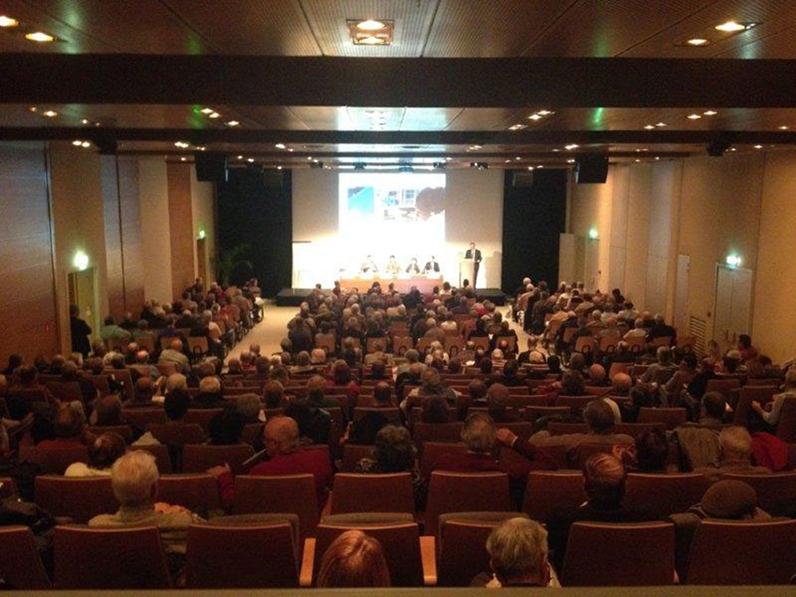 Hosted by Sylvie Aubert, international correspondent for Investir, this shareholders meeting gathered more than 250 people. 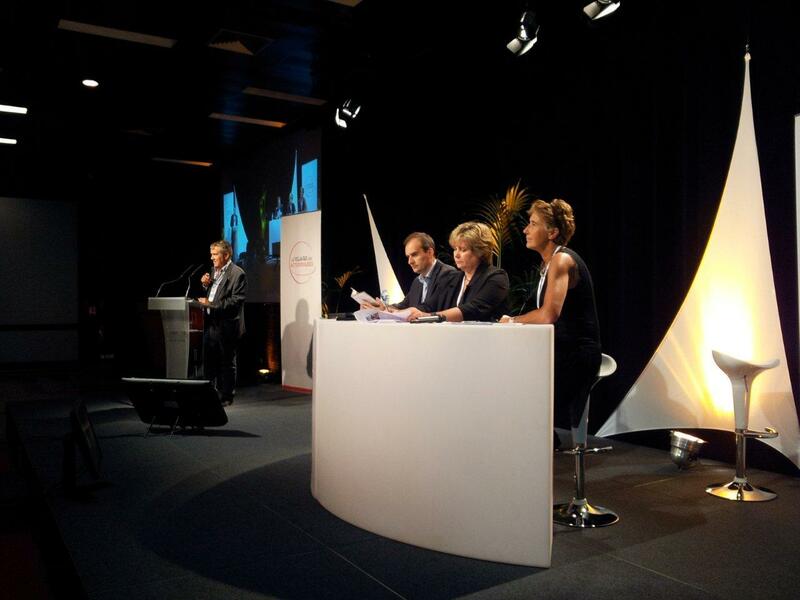 On June 12, 2014 Technip took part in a conference and debate dedicated to individual shareholders in Lyon (France). Alongside CGG and Vallourec, two other main oil & gas companies in France, Technip introduced to individual shareholders its activities and latest financial results. 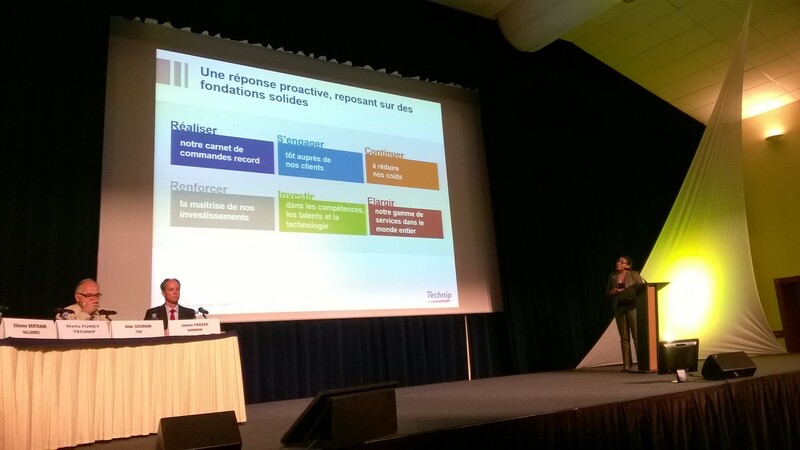 The presentation of Christophe Bélorgeot, Technip's Group Senior Vice President Communications, has been followed by a question and answer session during which individual shareholders exchanged their point of view. More than 200 people attended this meeting. 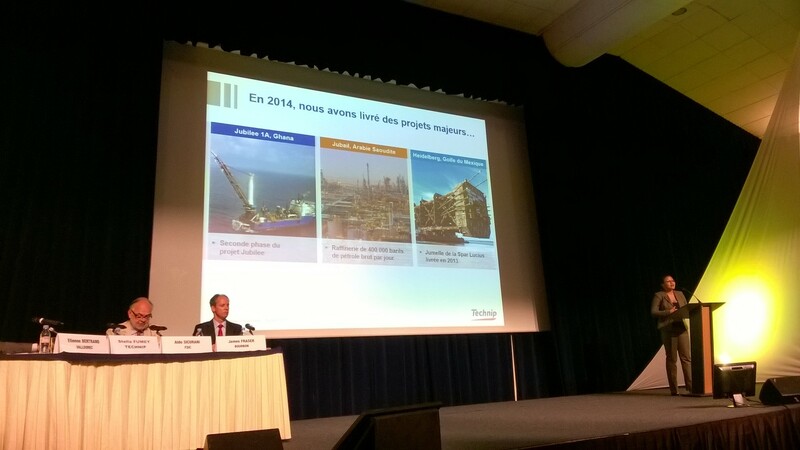 On December 16, 2013 Technip took part in a shareholders meeting in Paris (France) with three other main French oil & gas companies: Bourbon, CGG and Vallourec. Christophe Bélorgeot, Group Senior Vice President Communications, introduced to the individual shareholders Technip's activities (Subsea, Offshore and Onshore) and the latest financial results of the company. His presentation has been followed by a question and answer session. Almost 300 people attended this meeting and all of them were glad to be able to ask their questions to the team of each company. 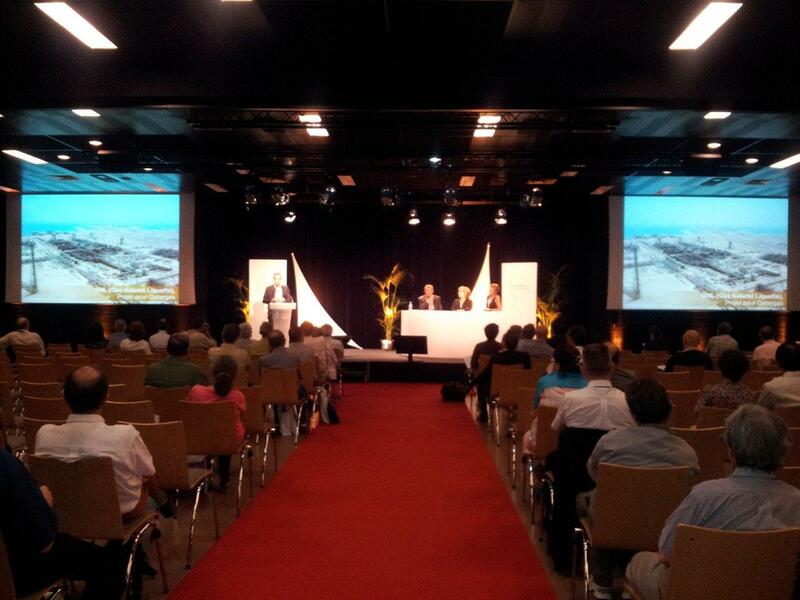 On June 11, 2013 a shareholders meeting was held in Marseille (France) during which Technip and Vallourec presented their activities. Christophe Bélorgeot, Group Senior Vice President Communications, presented to individual investors the Group's activities and latest financial figures. During a question and answer session, individual shareholders had the opportunity to share their point of view with the managers of each company. This meeting gathered almost 200 people. 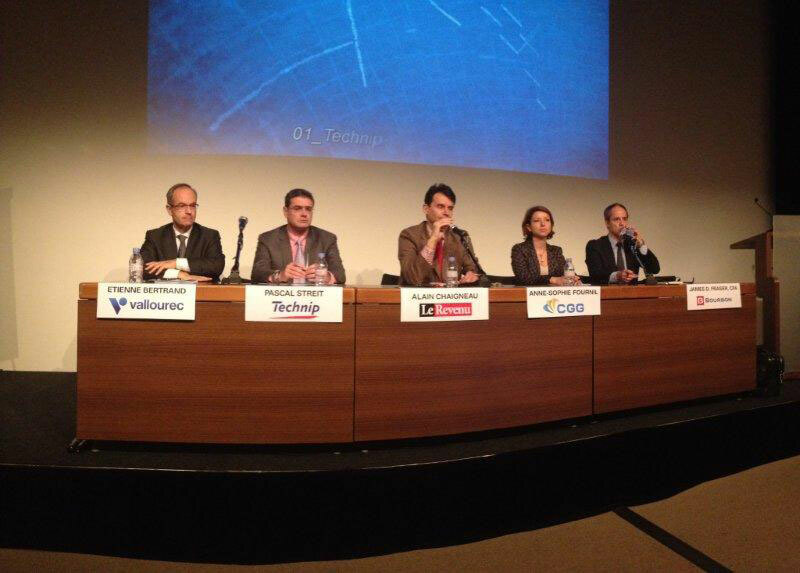 On December 17, 2012 Technip participated to a conference and a debate dedicated to individual shareholders in Strasbourg (France) with two other main oil & gas companies in France. Pascal Streit, Vice President Strategy and Market Analysis introduced the Group know-how and flagship projects for its three activities: Subsea, Offshore and Onshore. 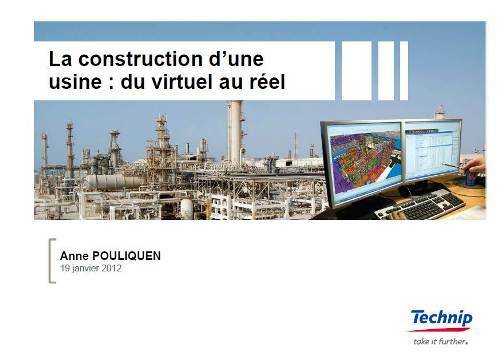 More than 250 people attended this meeting and all of them had the opportunity to ask their question to Technip team. 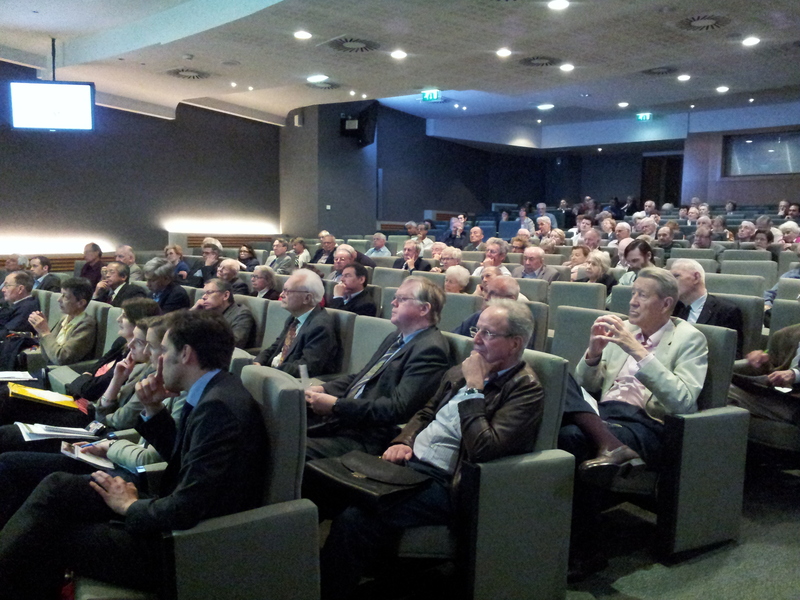 In 2011, Shareholders meeting was held in Lilles France organized with other French oil and gas companies. 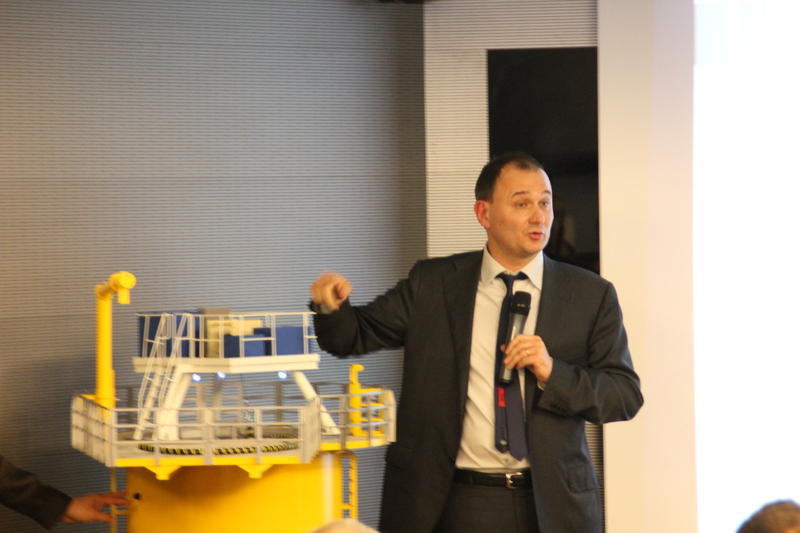 Alain Marion, Senior Vice President Subsea Assets Technologies introduced Technip's expertise and technological know-how to more than 200 people. 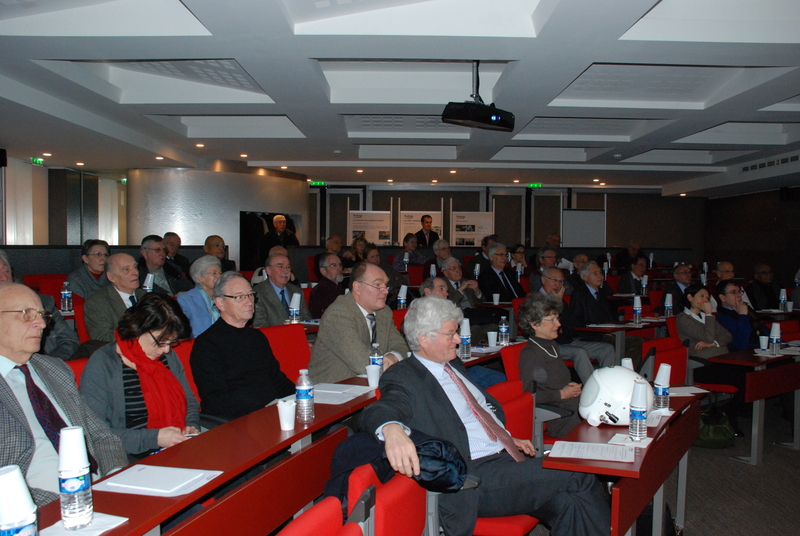 Individual shareholders were invited on January 30, 2014 to attend a technological conference on ethylene. 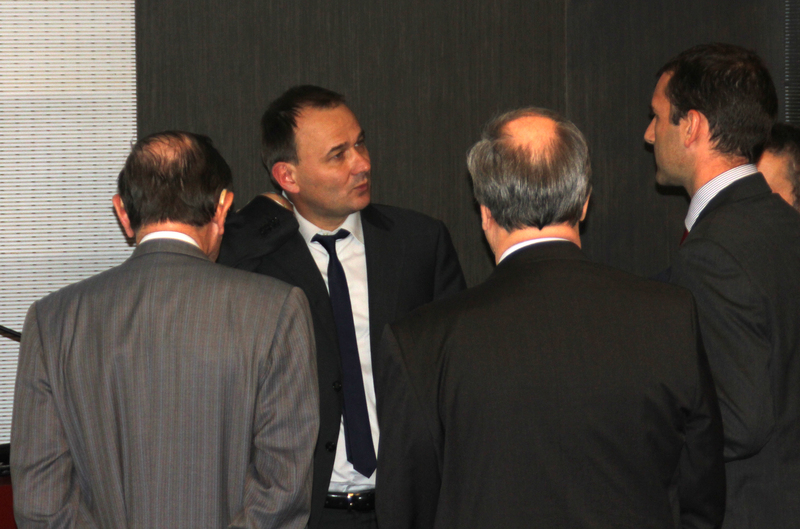 The objective of this event was to present and explain our expertise in this field and allow our shareholders to meet managers of the company with which they were able to discuss around a coffee break. Based on its proprietary technologies, Technip is a world leader in designing steam crackers, from concept stage through construction and commissioning for both grassroots plants and plant expansions.With respectively 70 years of expertise for Stone & Webster and 40 years for Technip with a total of 150 grassroots plants, Technip is the leader in the field of ethylene. 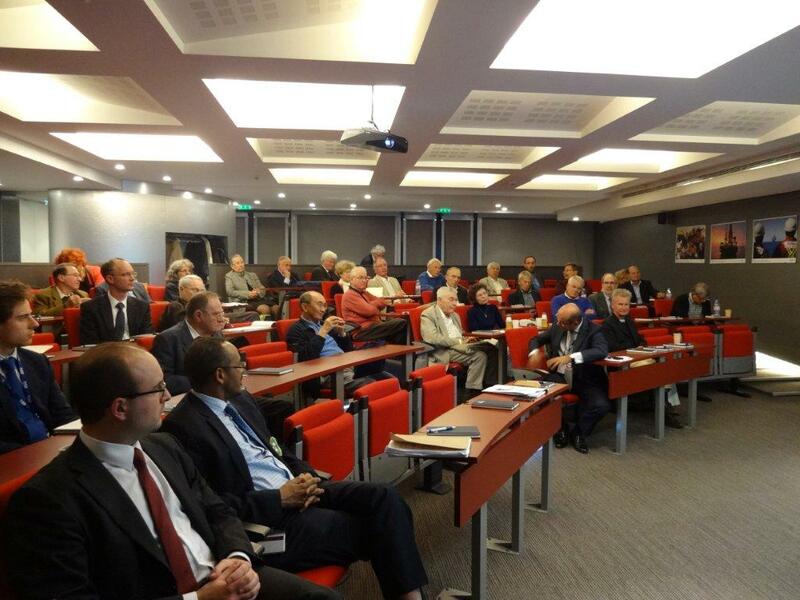 Technip's Individual shareholders were invited September 19, 2013 to a technology conference on Floating Liquefied Natural Gas (FLNG), which was held at Technip headquarters. The objective of this event was to explain this technological breakthrough that combines the expertise of our three activities (Subsea, Offshore, Onshore) and represents a revolution for the industry of energy. A flagship project called 'Prelude FLNG' will be the first FLNG in the world and the largest FPSO ever built by man - won by the Technip- Samsung consortium with Shell - was also presented to the shareholders. 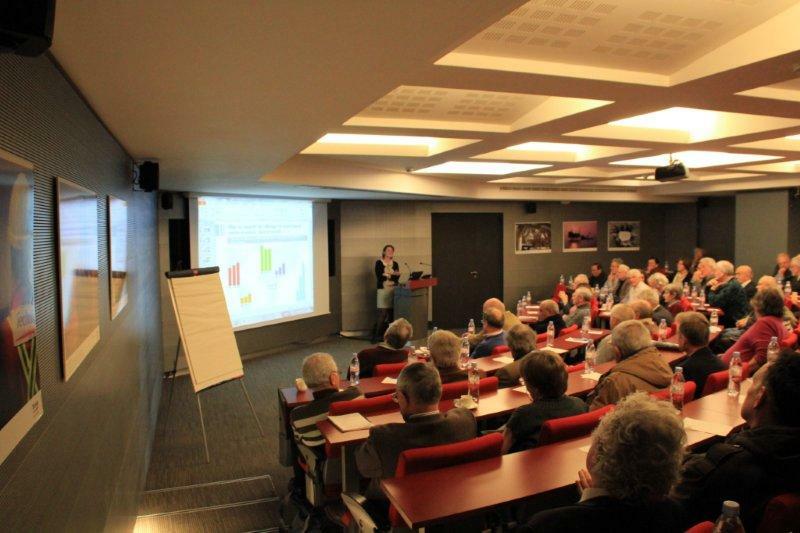 The first conference of the year was dedicated to Technip refining activities. Indeed, Marie-Christine Charrier, SVP refining of the Group introduced in a 2 hours conference the Technip technologies, strategy and flagship projects in refining to 75 individual shareholders. She also explain the advantages of the acquisition of Stones & Webster Process Technologies to our shareholders who were very interested by this topic. 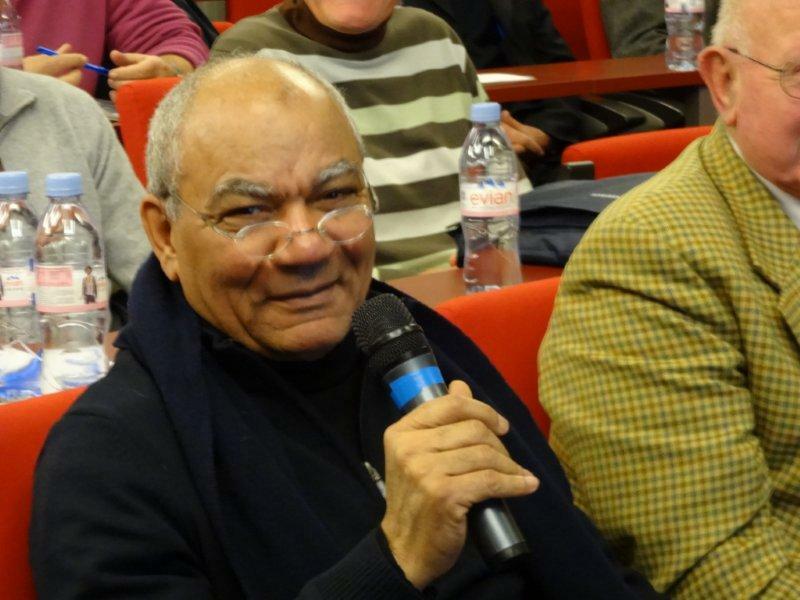 The third conference held in January 2012 was about the building of a plant. 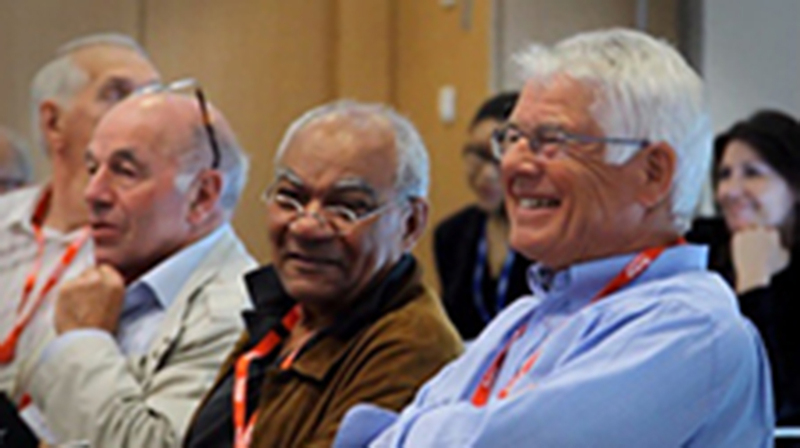 It allowed individual shareholders to better understand the engineering challenges and the means used to answer them such as the simulation. 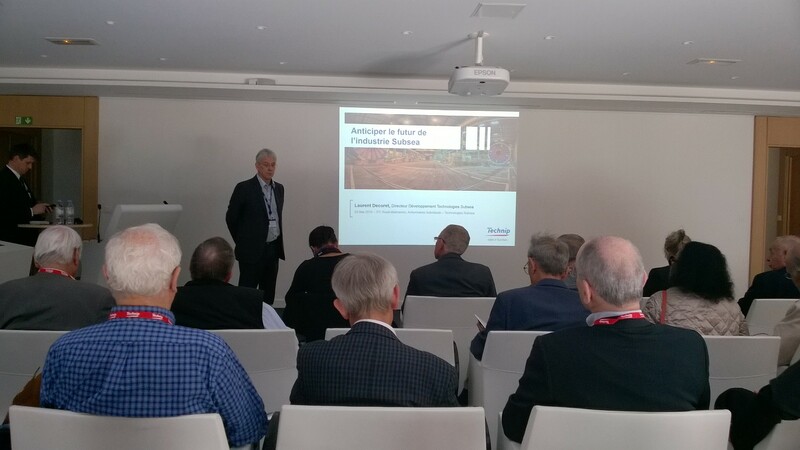 At a presentation delivered by Stéphane His (photo), VP Biofuels and Renewable Energies Product Line, more than 50 shareholders enjoyed the opportunity to learn more about Technip's Offshore Wind activity. 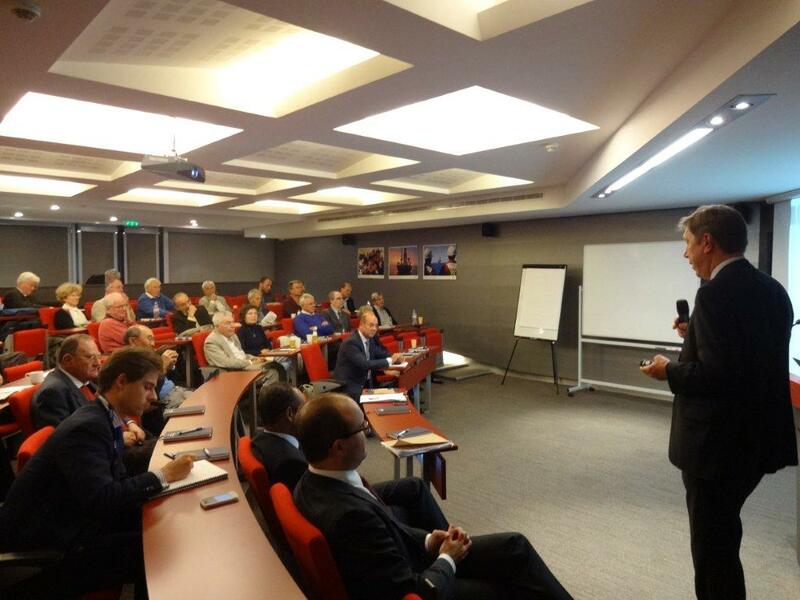 The event, organized by the Group Individual Shareholders Relations department, enabled our shareholders to meet and exchange with Technip people, and to find out more about the renewable energy sector. 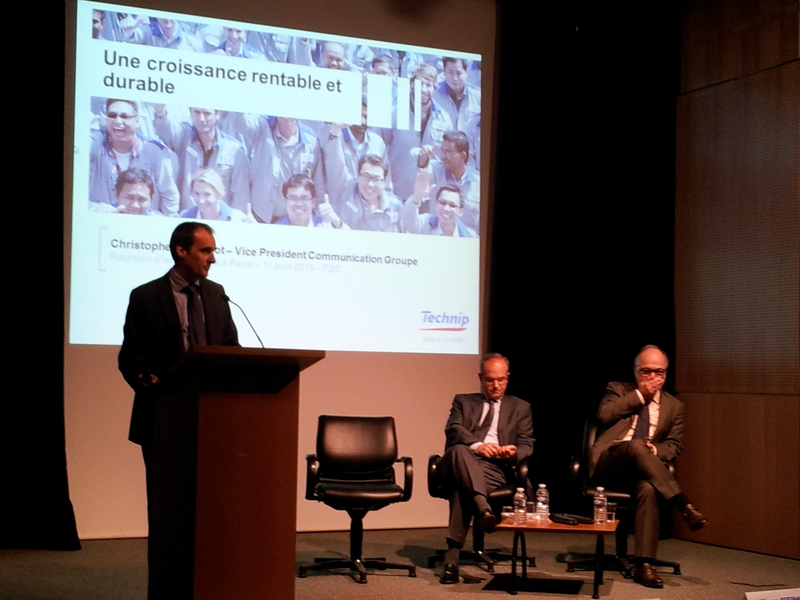 Shareholders also shared their views and expectations with the Technip's Communications department. The first January conference dealt with submarine interventions. About 50 shareholders discovered the evolutions of this domain, beginning with the first industrial pioneers dives in deep water, up to the state-of-the-art installations of diving with saturation. The second conference, held in July enabled individual shareholders to discover the numerous step of gas or crude oil extraction to the synthesis of polymers. 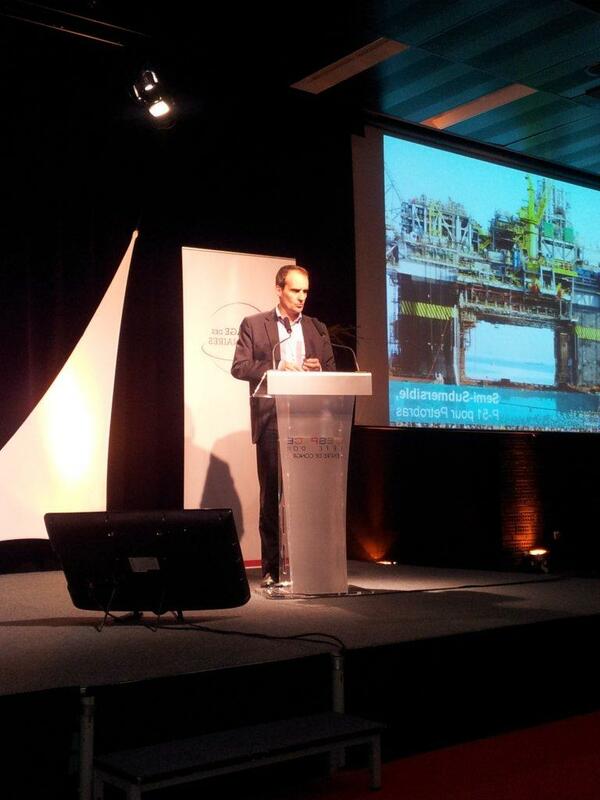 Technip participated in the annual Actionaria exhibition* for individual shareholders, in Paris. 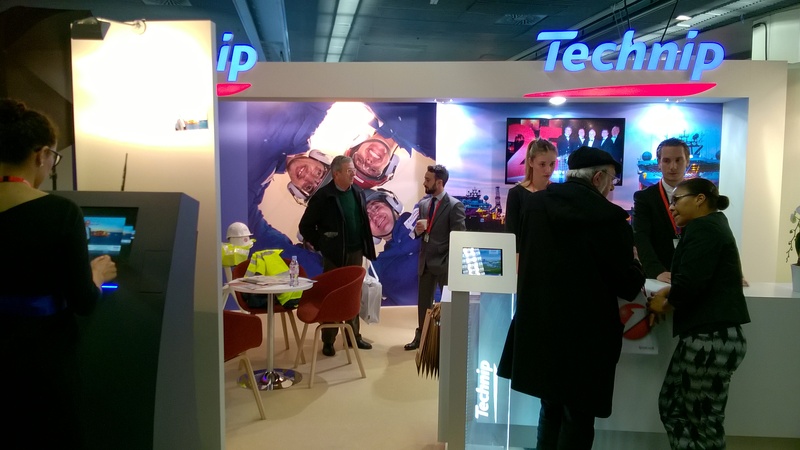 At our booth, several hundreds of our shareholders were invited to take a snapshot of themselves on a Technip site or project background. During a conference, Julian Waldron, Group CFO, shared the Group management’s vision and highlighted Technip capabilities to adapt to this challenging business environment while anticipating the recovery of the market. Click here to watch the interview.